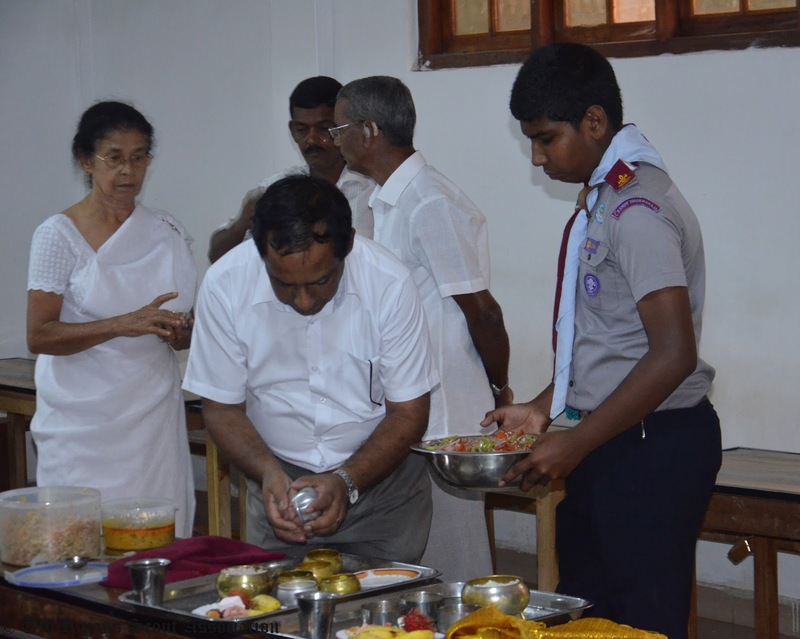 13th consecutive Founder's day celebration Alms Giving organized by Old Rajans Scout Association to commemorate 129th Founders’ Day of Dharamaraja College held successfully at Asgiri Maha Piriwen Vihara on 29th June 2016. 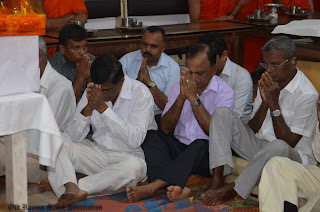 Membership of Old Rajans Scout Association together with other Old Rajan groups and Dharmaraja College presented alms for 170 Maha Sanga together with Pirikara Puja. 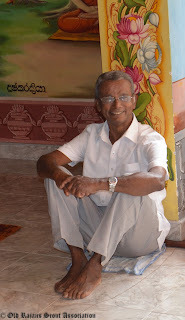 Principal of Dharmaraja College Mr. S.M. 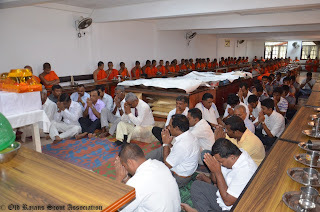 Keerthirathna, Mr. Sadara Thennakoon President and Secretary Mr. Suminda Vithanaarachchi of Dharmaraja Old Boys Union and former Group Scout Leaders of 1st Kandy Dharmaraja Scout group Mr. Bandara Weerasekara, Mr. Sarath Matharaarachchi and Mr. Saman Rathanayake present GSL were present at that event. Many ORSA members and other Old Rajans made significant contribution to the cause to express their gratitude to founders of the Alma mater and were present at the Asgiri Maha Priven Vihara. 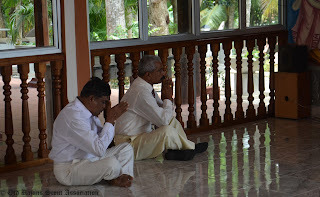 Importance of the day risen as it was the 75th Birthday of former Group Scout Leader Mr. Bandara Weerasekara whom lead 1st Kandy more than three decade giving all the guidance and support to groom the group to best scout group of the country. Scouts of the 1st Kandy Dharmaraja Scout Group were also present at the event.